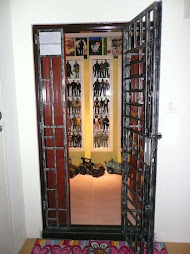 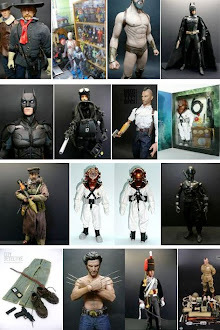 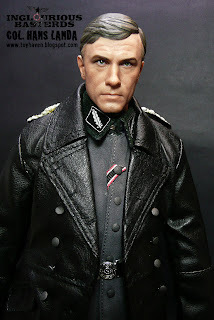 I like military figures. 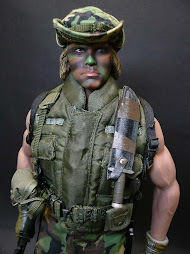 The properly trained and honed military guys always strike me as well-disciplined soldiers transformed into lean mean fighting machines with a heart. 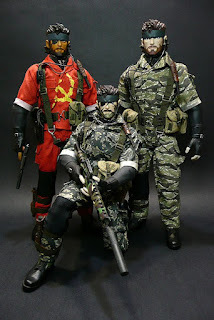 A strong military gives the people of the country confidence and acts as a deterrence to opposing / invading forces which in turn helps to ensure a good government. 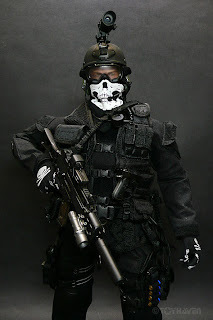 A military that is too strong makes it dangerous as martial law can take over at anytime. 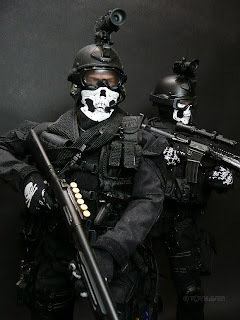 A weak military puts the country at risk of invasion and civil unrest / war. 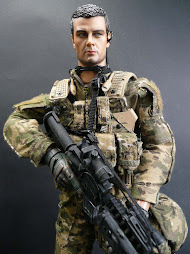 That said, military figures in a future sci-fi world like the colonial marines seen in "Aliens" or "Starship Troopers" as well as soldiers of a post-apocalyptic world intrigues me even more because in these instances, the artist is imagining how the future is seen through the eyes of these soldiers. 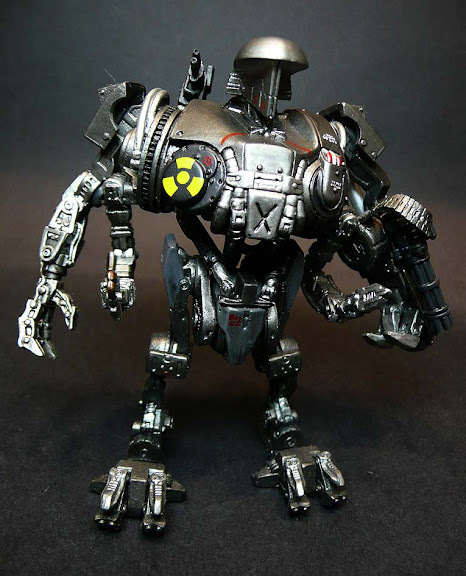 So the grunts of World War Robot Universe designed by Ashley Wood interests me much because besides humans, they also fight robots or warbots. 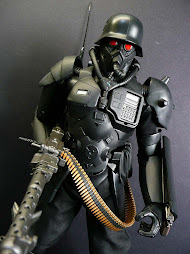 This is the 3A World War Robot WWR 1/6 scale Bot Sniper Punter 12-inch figure which was released as a BBICN Retail Exclusive. 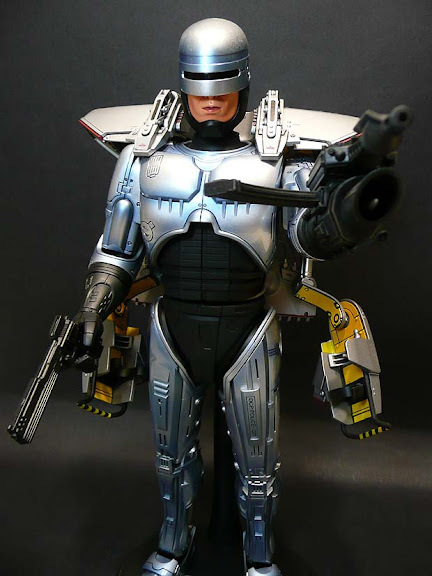 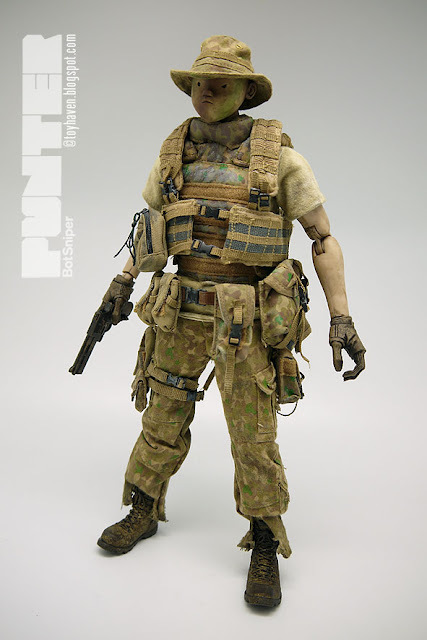 I've pretty much covered the box packaging and its contents in the earlier post, including detailing the parts and accessories, and what Punter wears under the assault and load bearing vests. 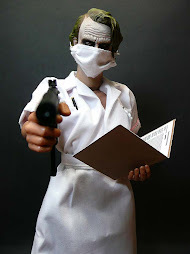 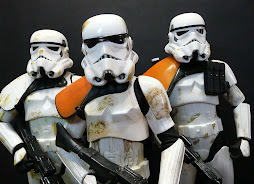 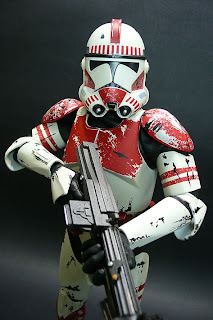 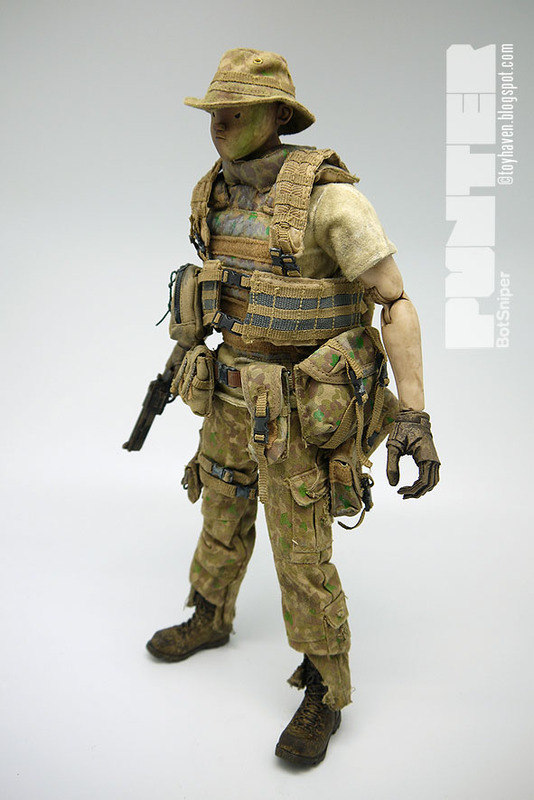 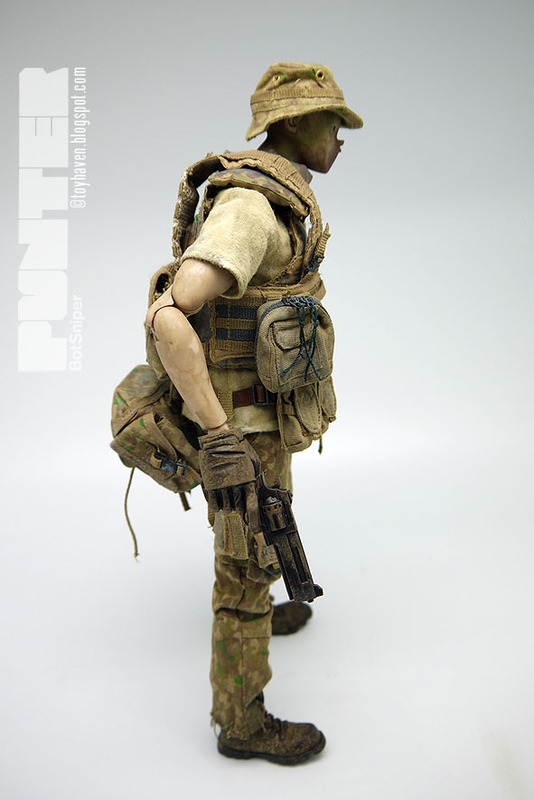 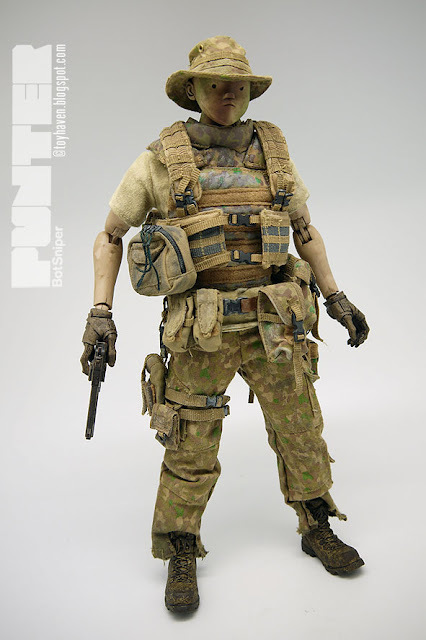 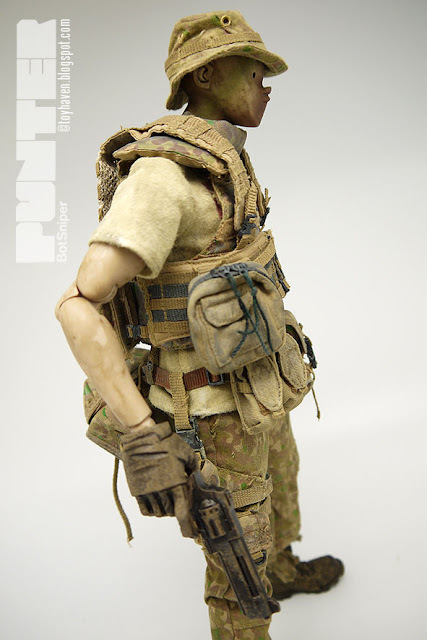 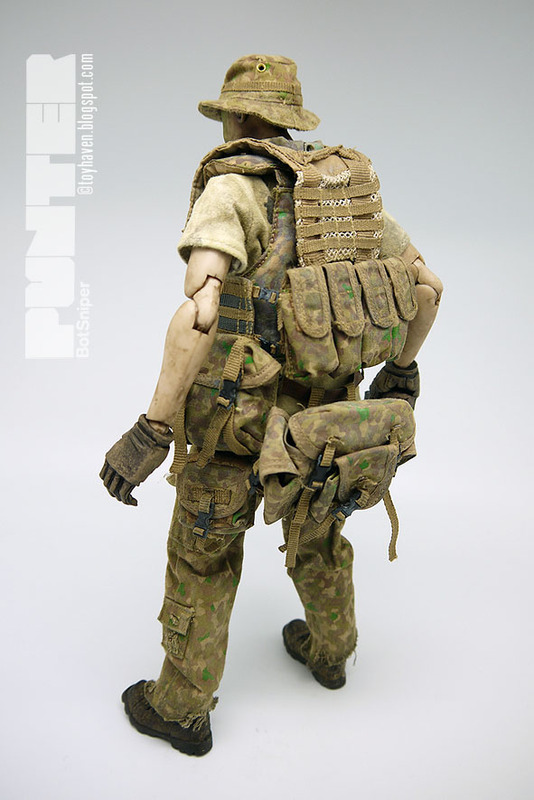 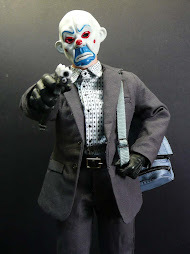 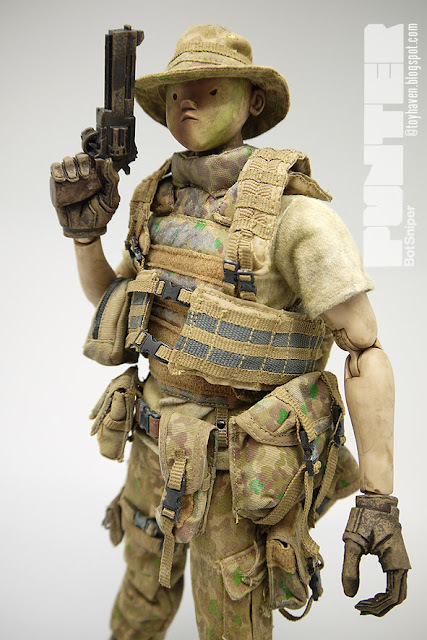 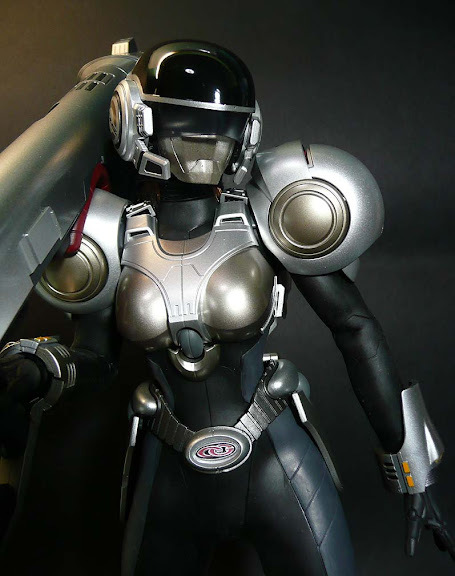 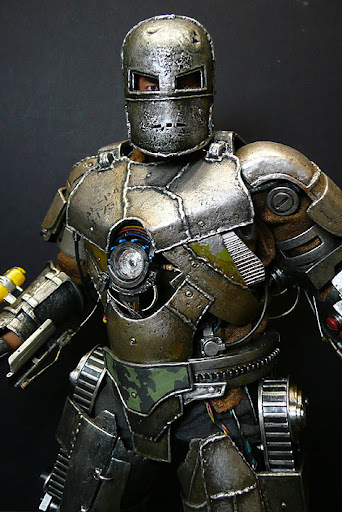 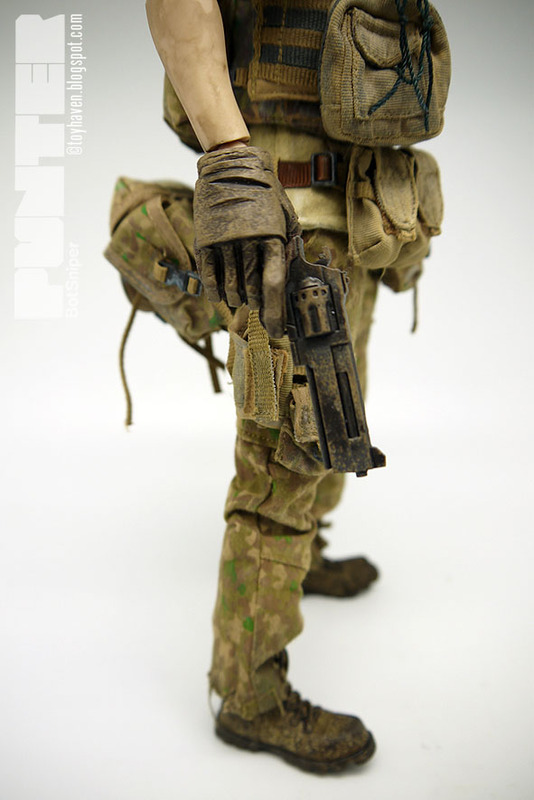 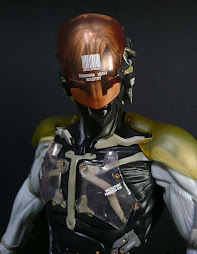 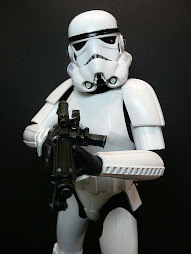 This is the second post and part 2 review of threeA's Punter Bot Sniper 1/6 scale figure. 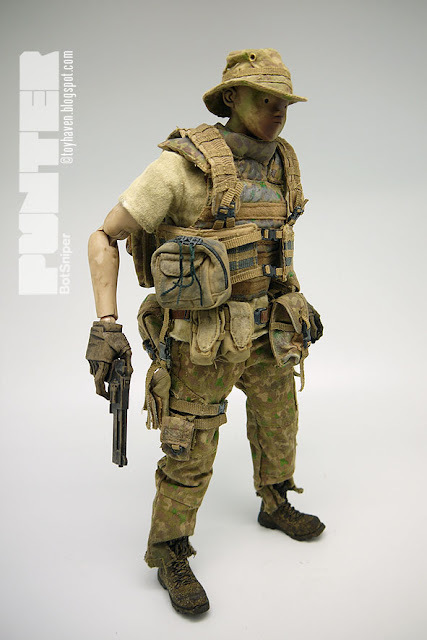 I didn't want to put on the camouflage ghillie suit yet as I wanted to show pictures of how Punter looks without the sniper camouflage suit. 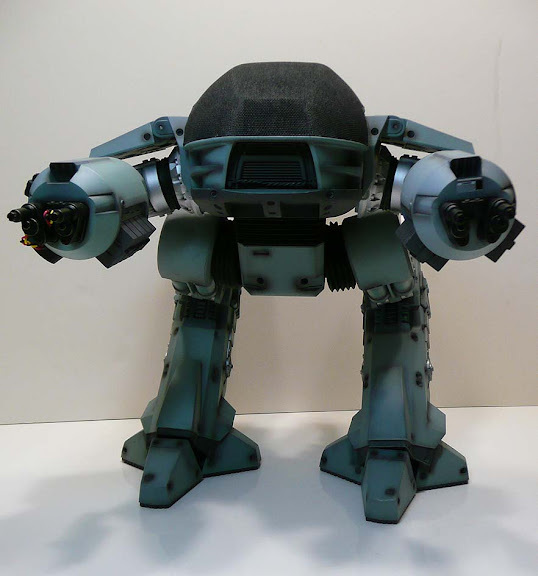 Once the ghillie goes on, all the nice details will be obscured. 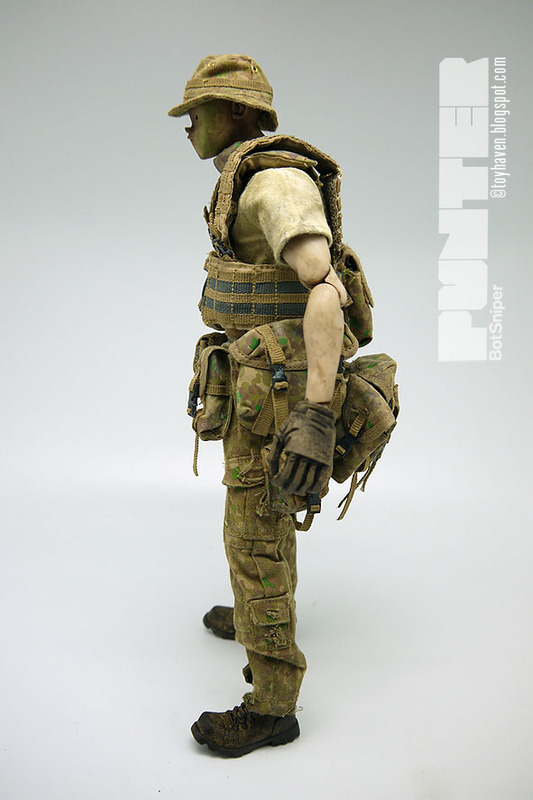 Snipers typically have highly selective and specialized training and use high-precision rifles and optics, and often have sophisticated communication assets to feed valuable combat information back to their units. 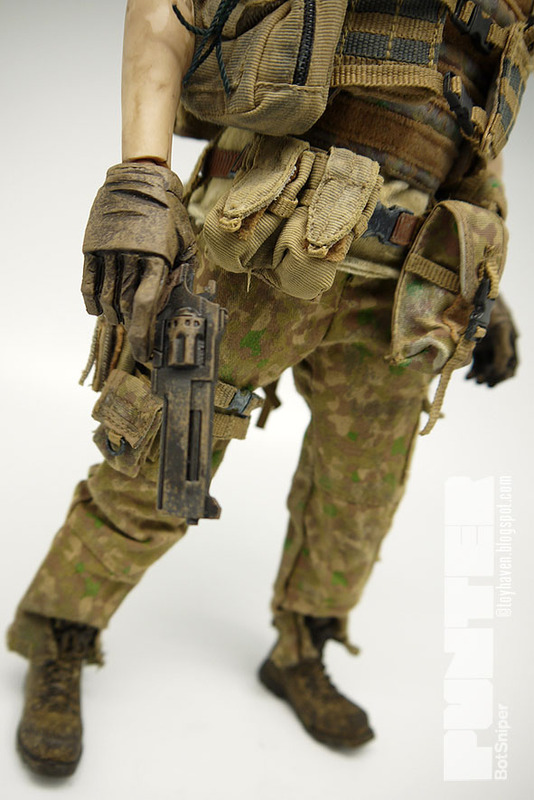 Besides their main weapon, snipers usually carry a secondary weapon as well. 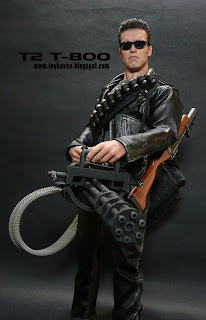 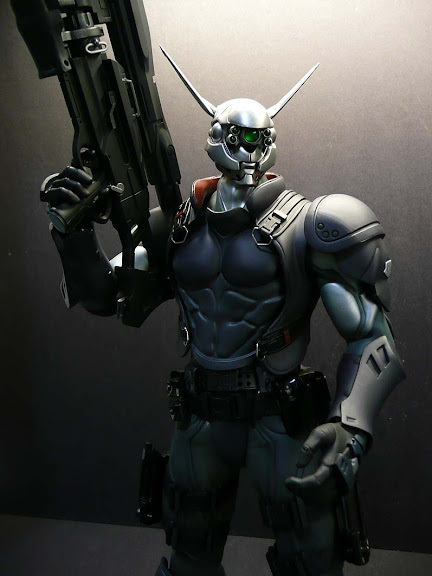 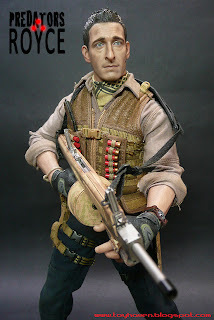 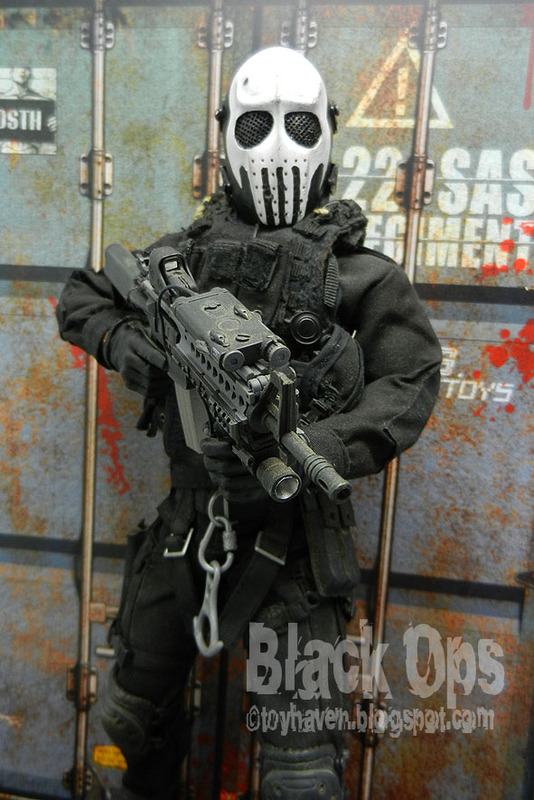 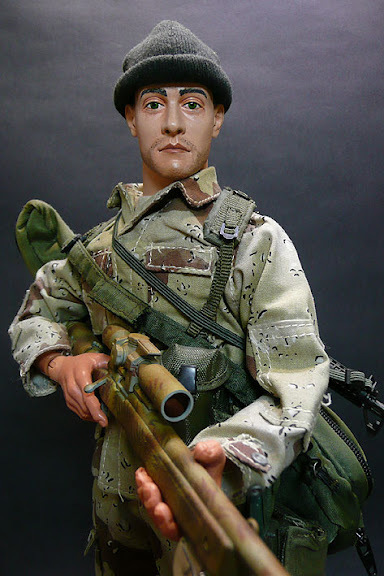 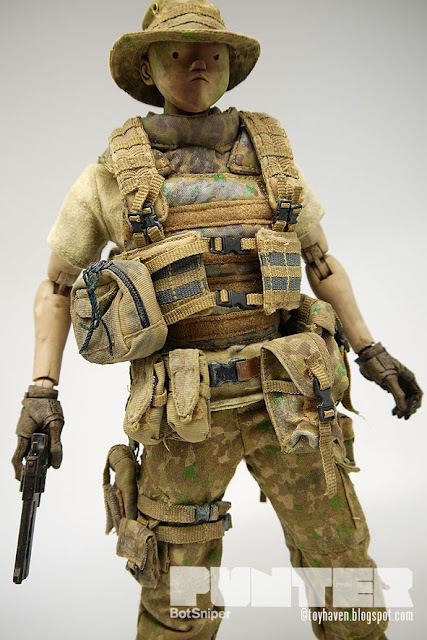 3A BBICN Exclusive World War Robot WWR 1/6 scale Bot Sniper Punter 12-inch Figure does not have a secondary weapon. 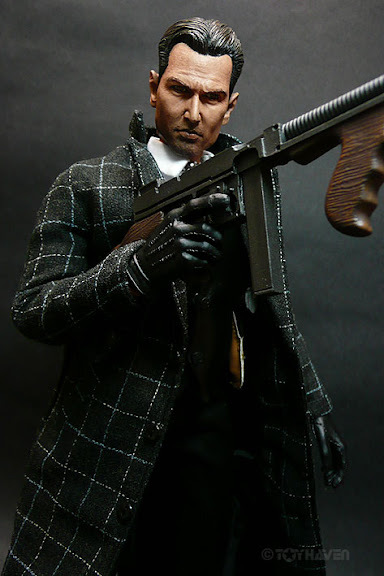 He has his main sniper rifle which is HUGE (see earlier post for pictures) and a sidearm which is a revolver. 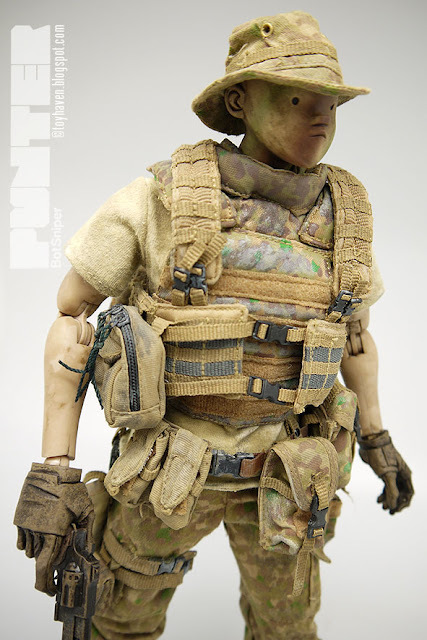 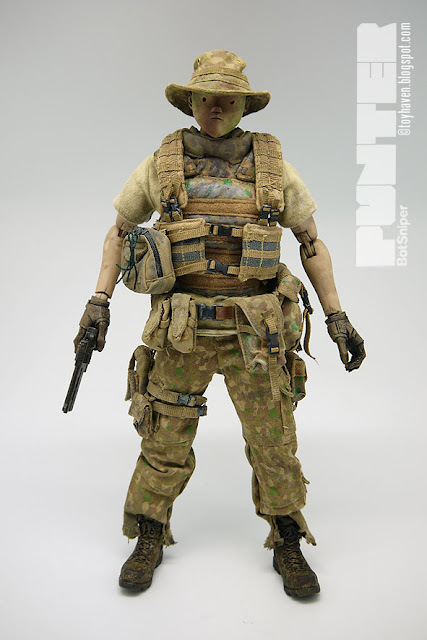 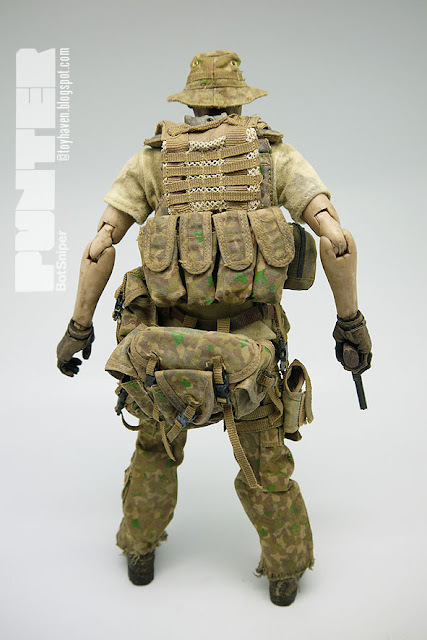 Punter wears a load bearing vest over his assault vest which also has a belt with additional pouches attached for carrying everything he needs for his mission. 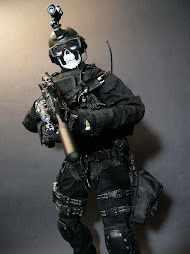 Generally, a sniper's primary function in warfare is to provide detailed reconnaissance from a concealed position or "hide site" and, if necessary, to reduce the enemy's fighting ability by striking at high value targets (especially officers, communication and other personnel) and in the process pinning down and demoralizing the enemy. 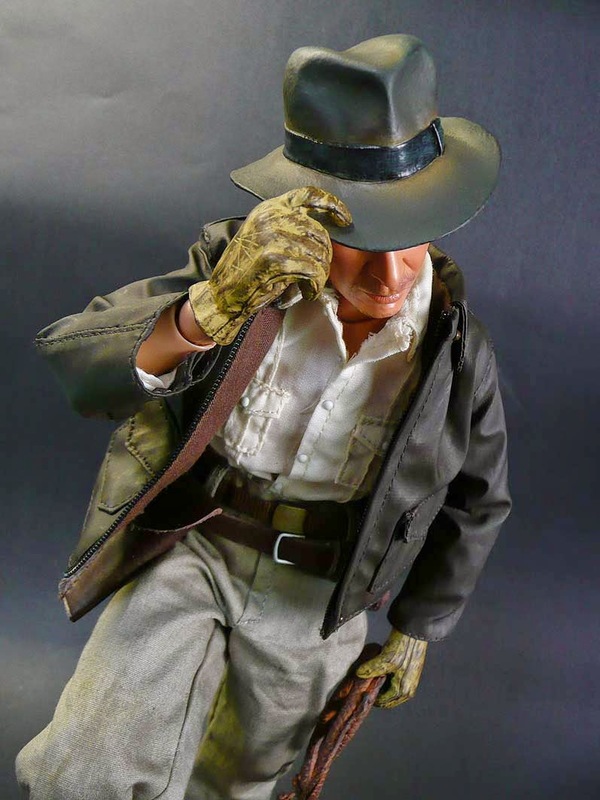 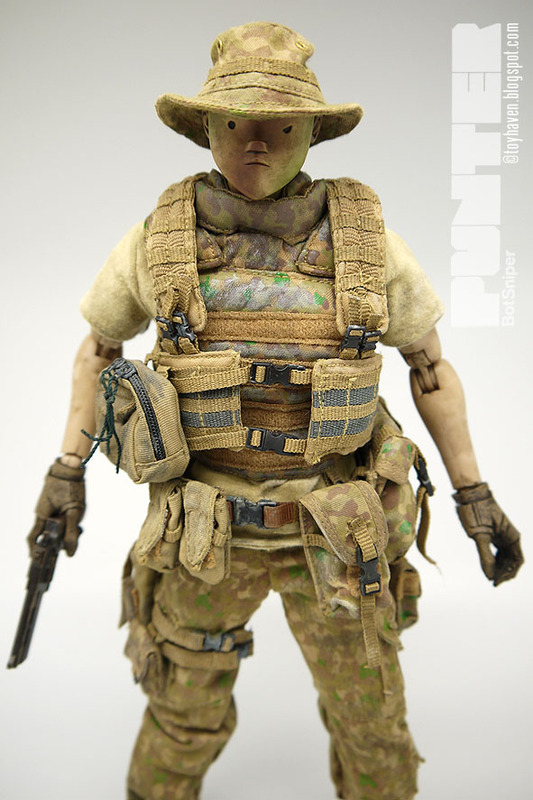 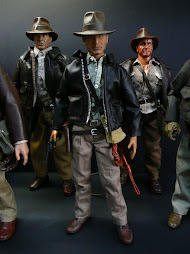 3A BBICN Exclusive World War Robot WWR 1/6 scale Bot Sniper Punter 12-inch Figure with his boonie hat and without the camouflage ghillie suit looks almost like a cowboy from the wild west, a gunslinger with revolver in hand. 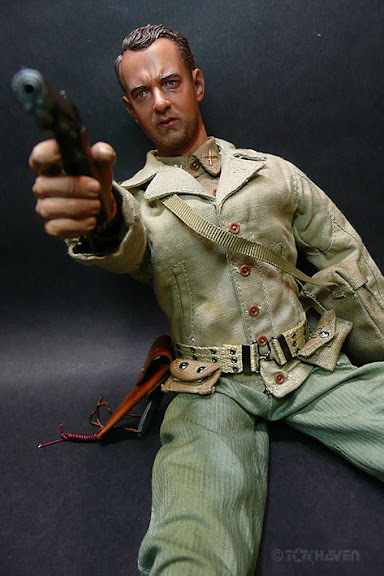 Punter must be thinking "Draw, partner" referring to the whole Western duels / gunfights between cowboys when guns ruled and the law was almost non-existent. 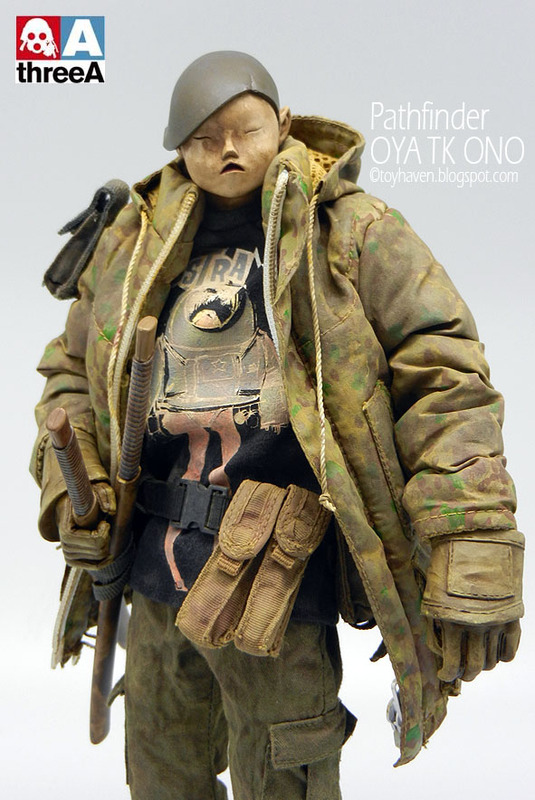 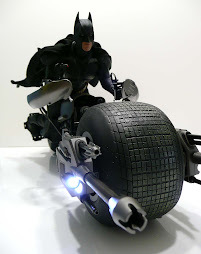 Scroll down to see more close-up shots / pictures and views of this BBICN exclusive figure made in collaboration with 3A and Ashley Wood. 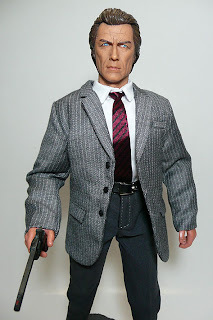 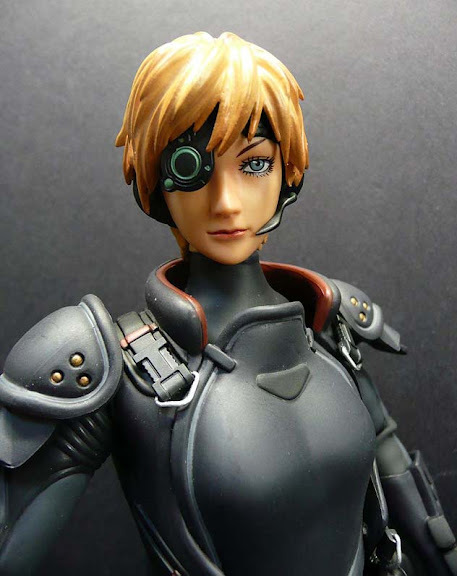 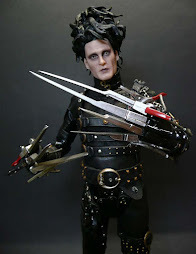 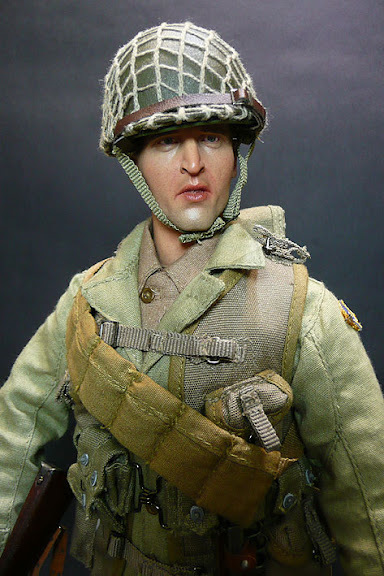 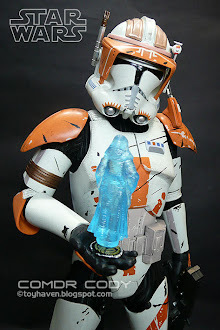 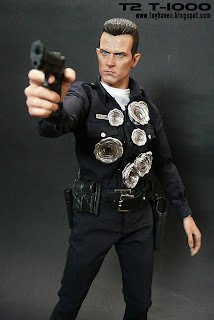 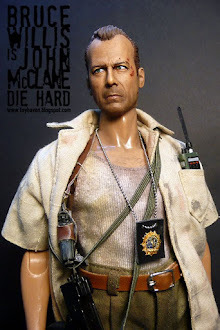 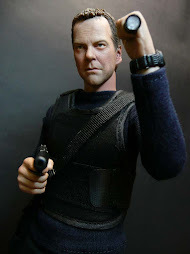 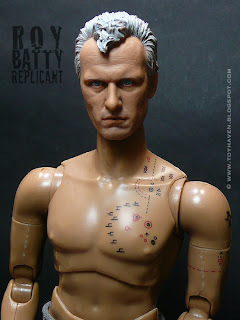 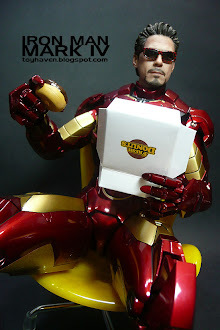 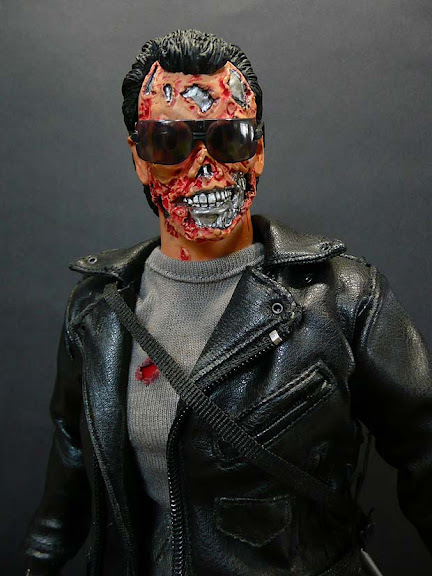 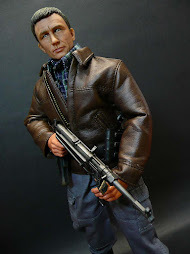 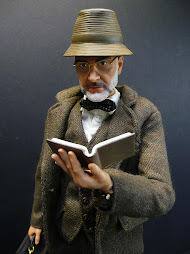 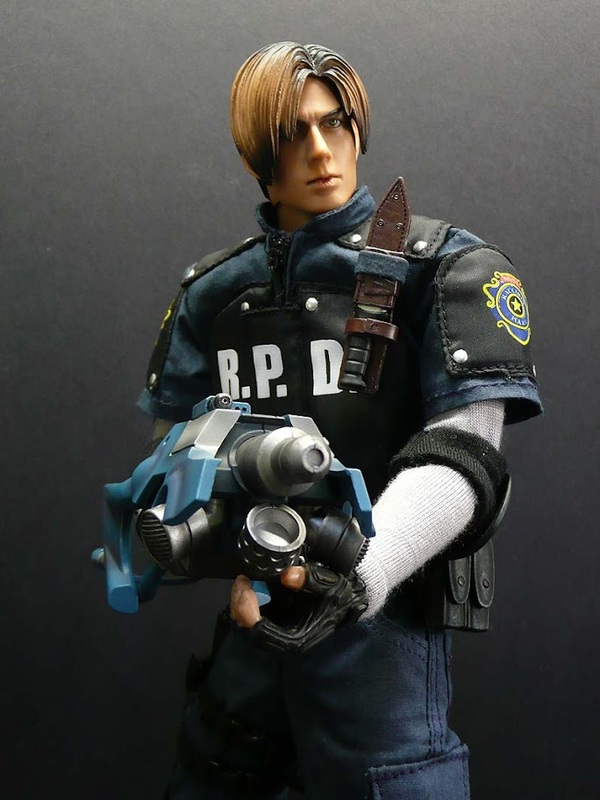 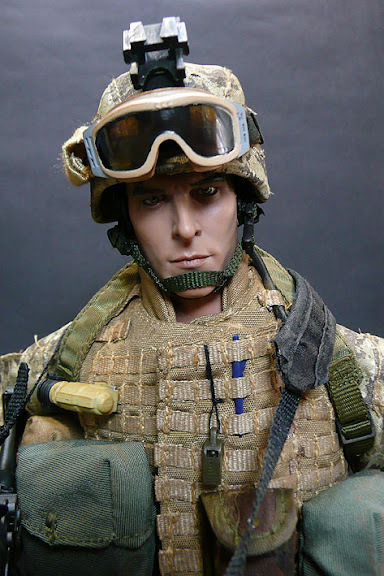 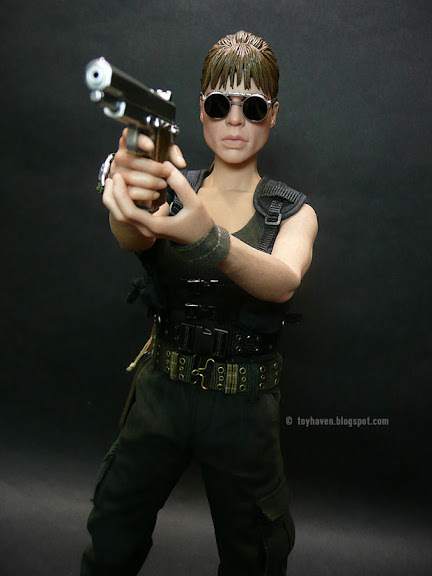 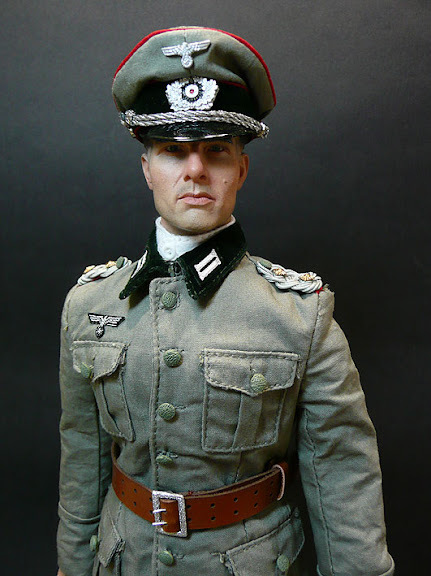 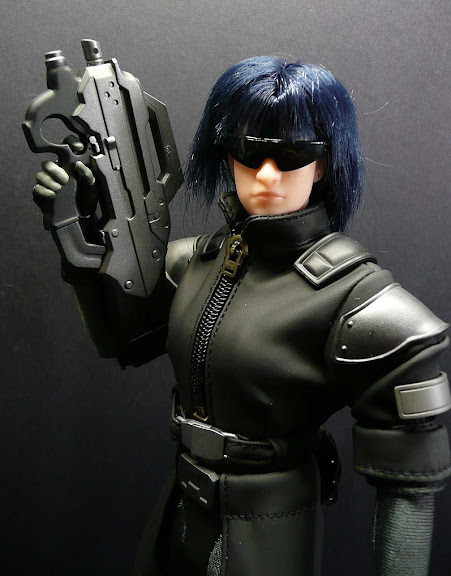 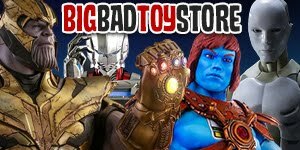 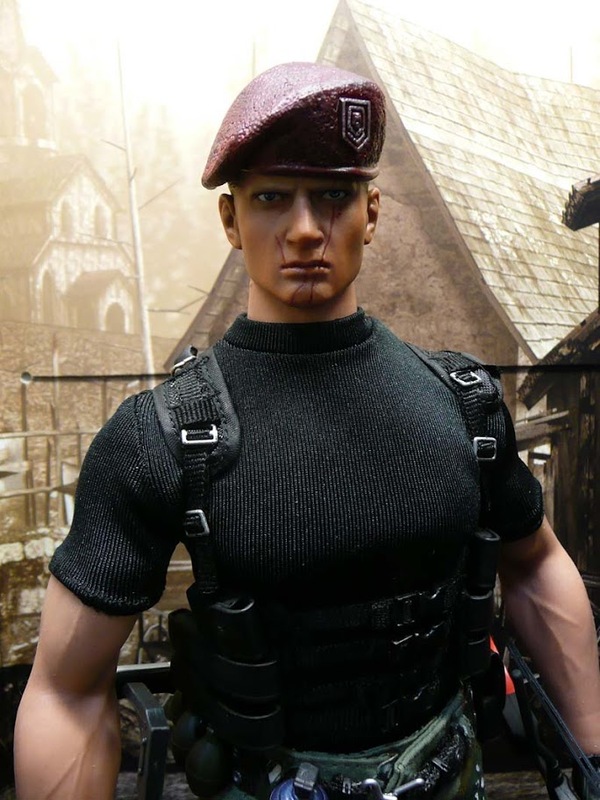 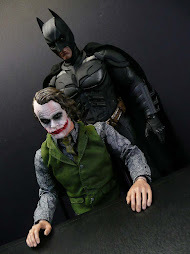 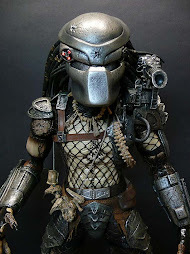 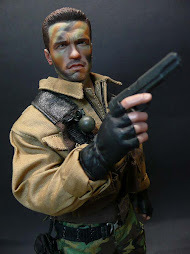 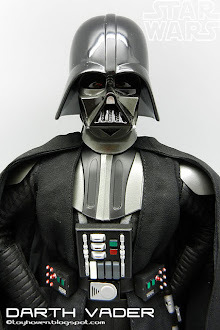 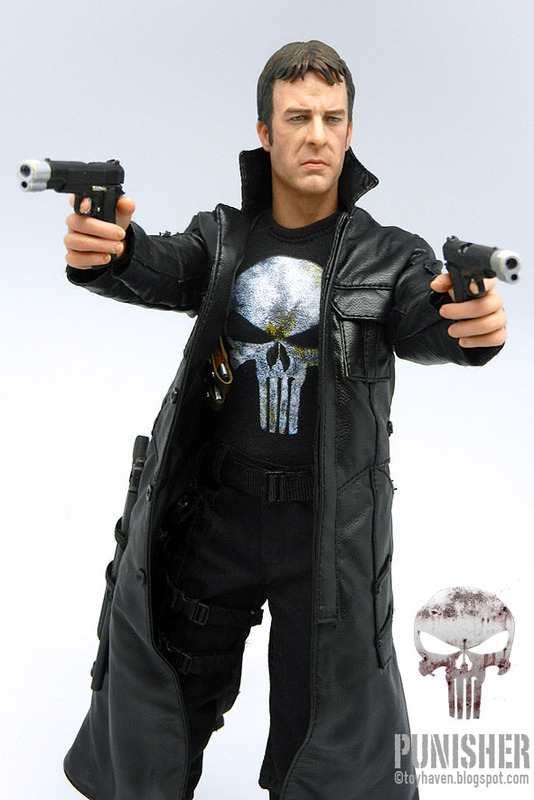 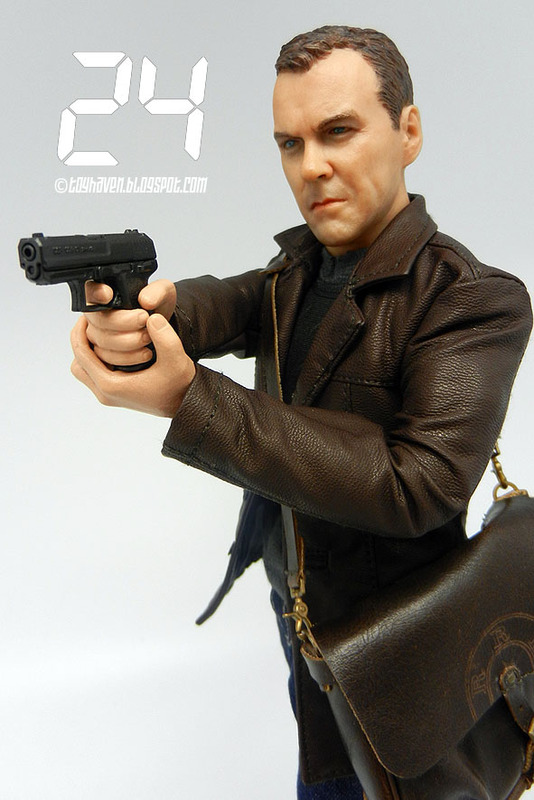 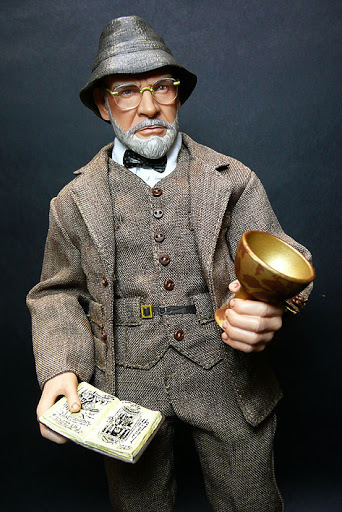 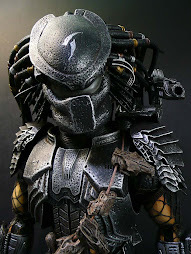 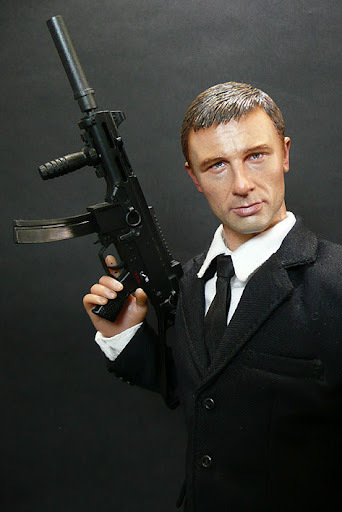 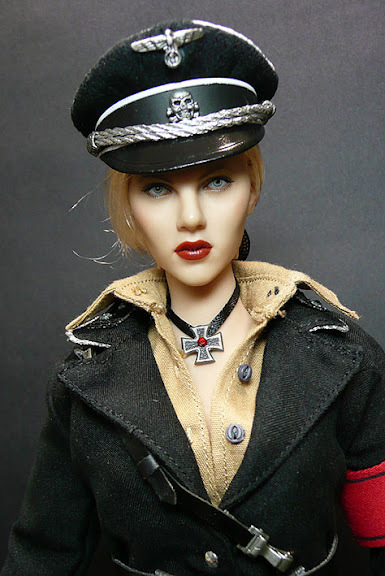 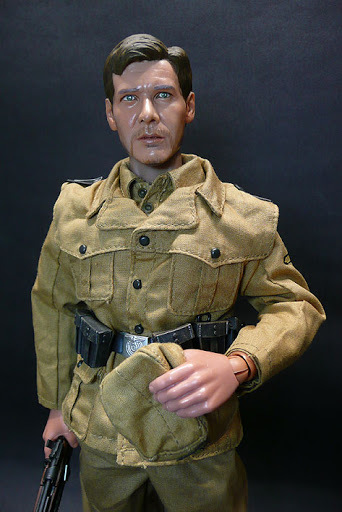 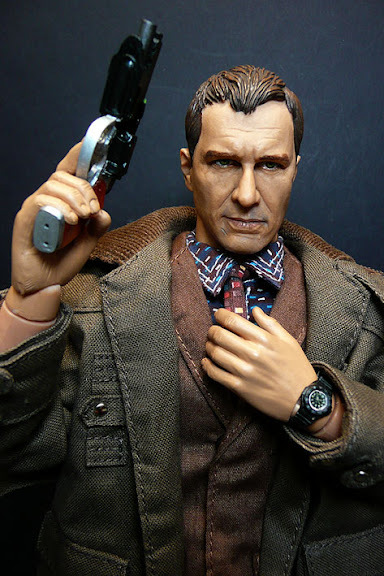 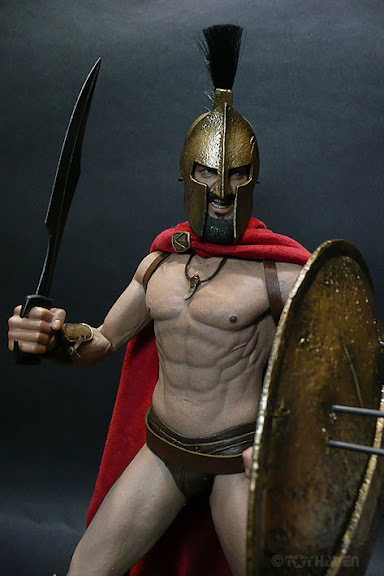 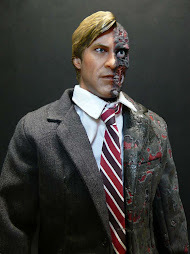 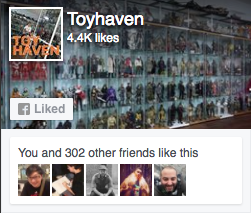 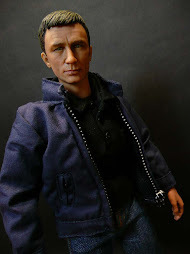 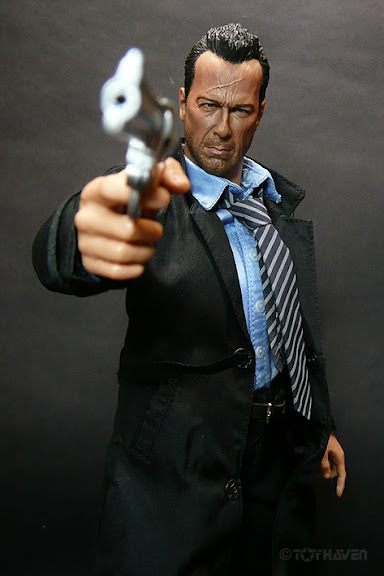 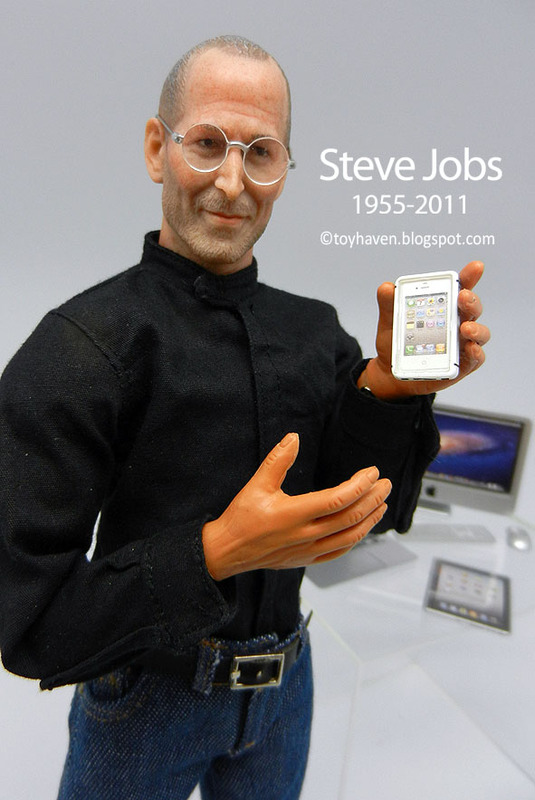 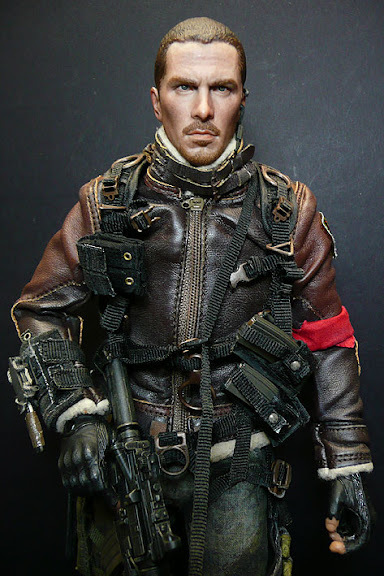 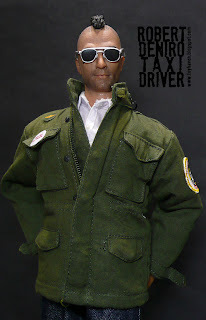 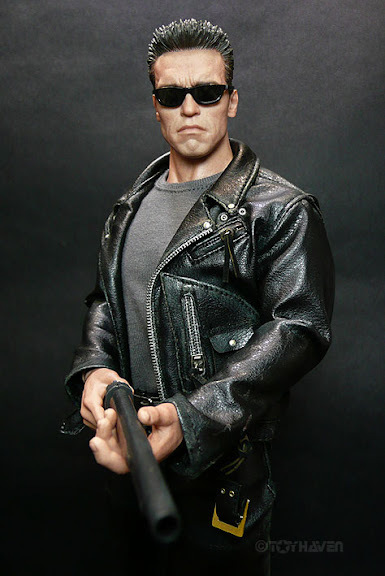 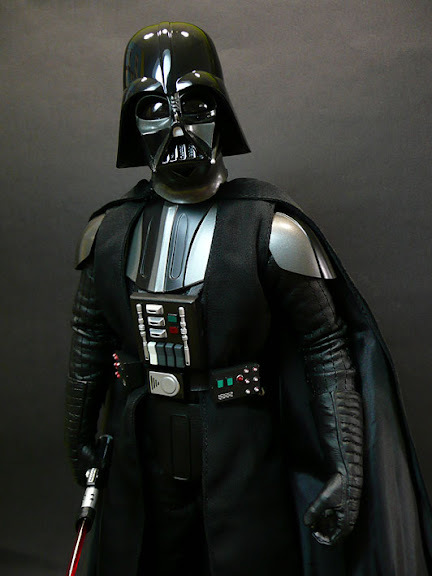 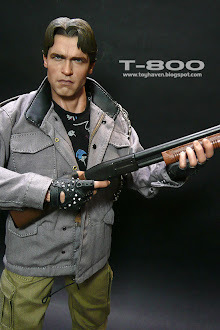 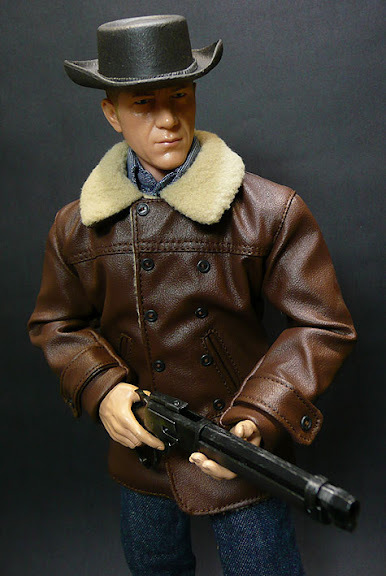 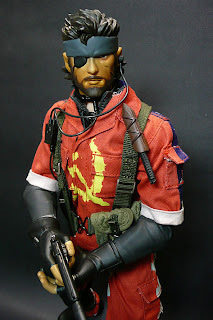 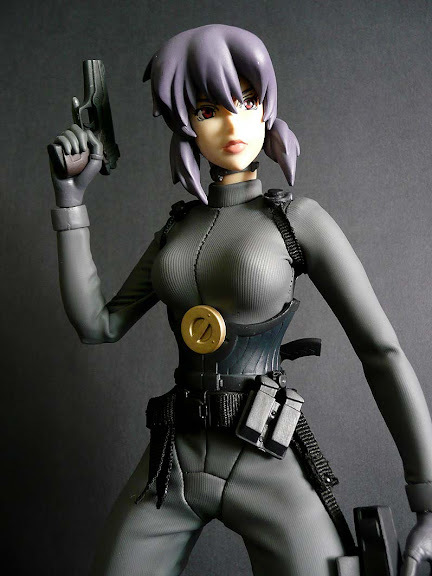 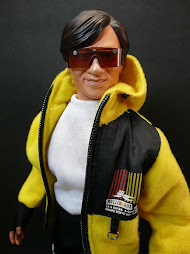 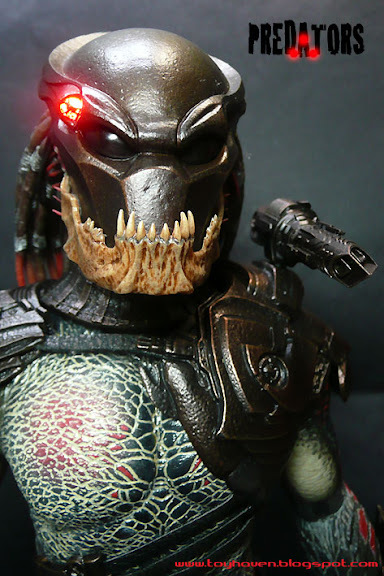 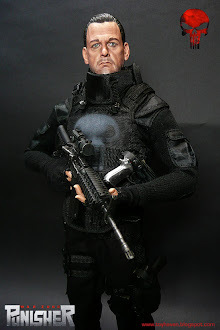 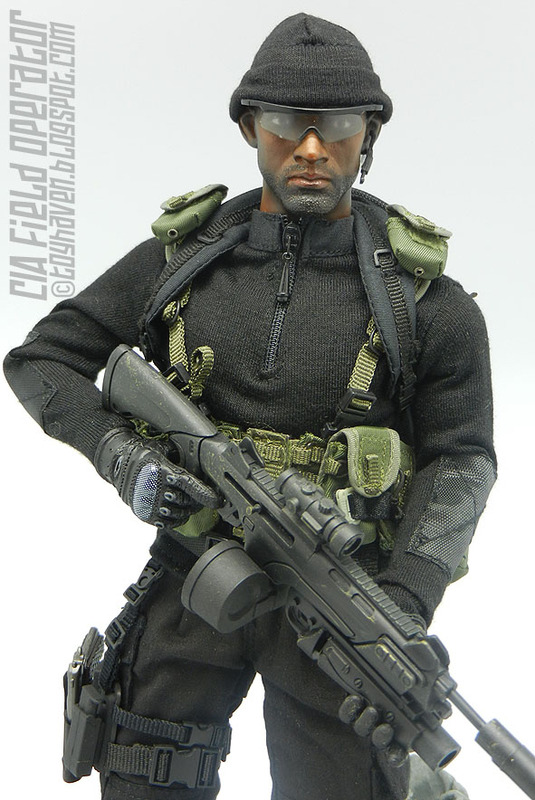 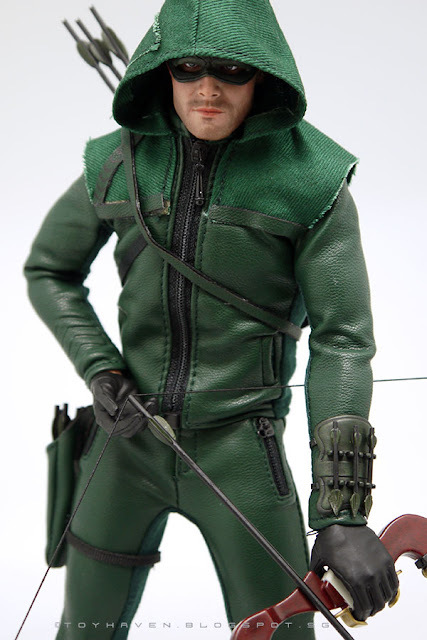 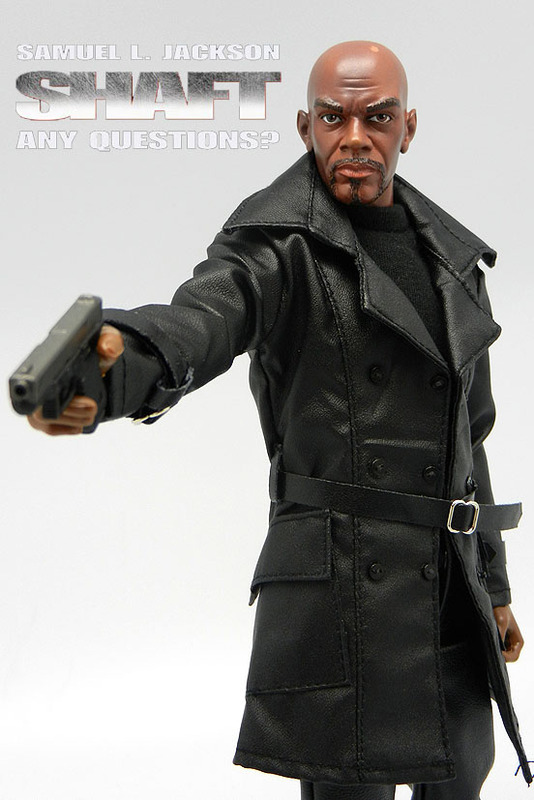 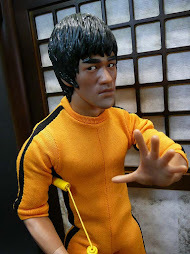 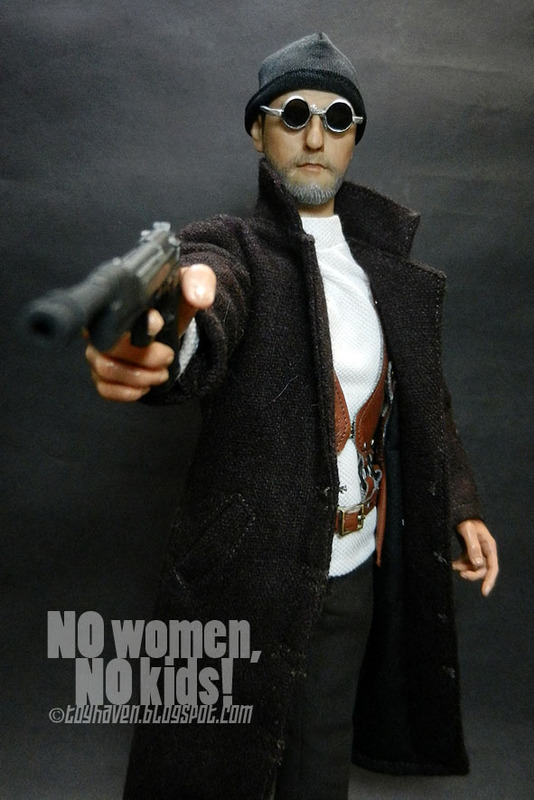 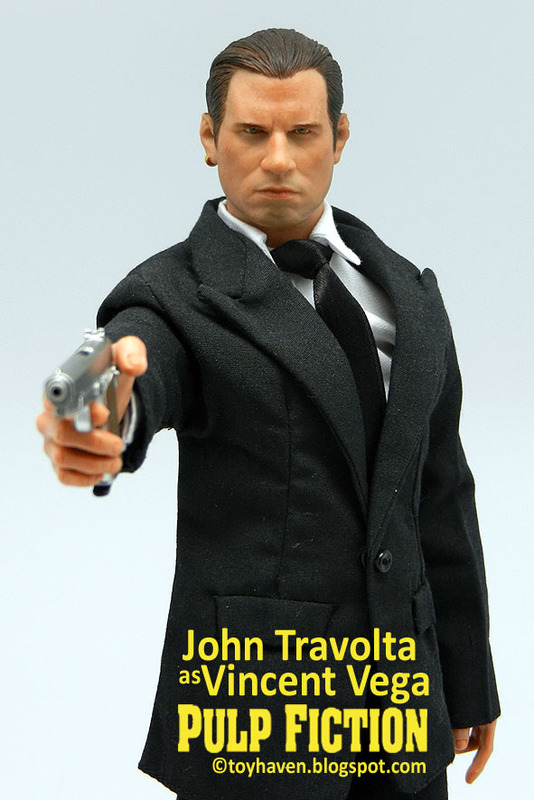 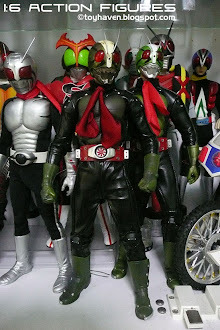 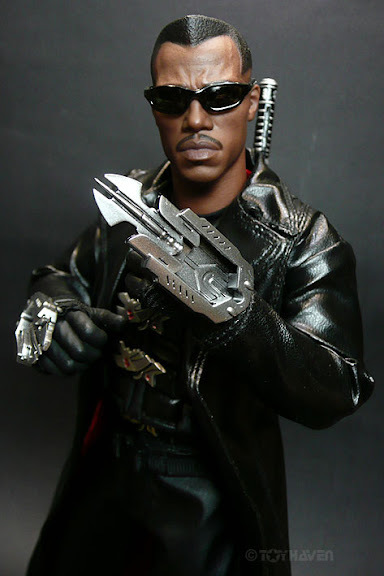 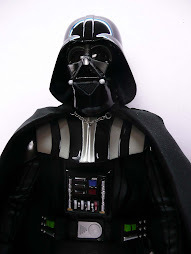 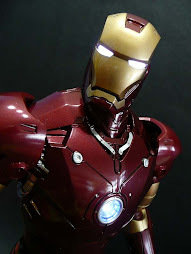 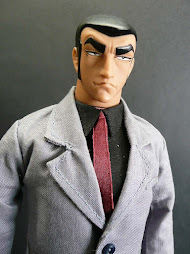 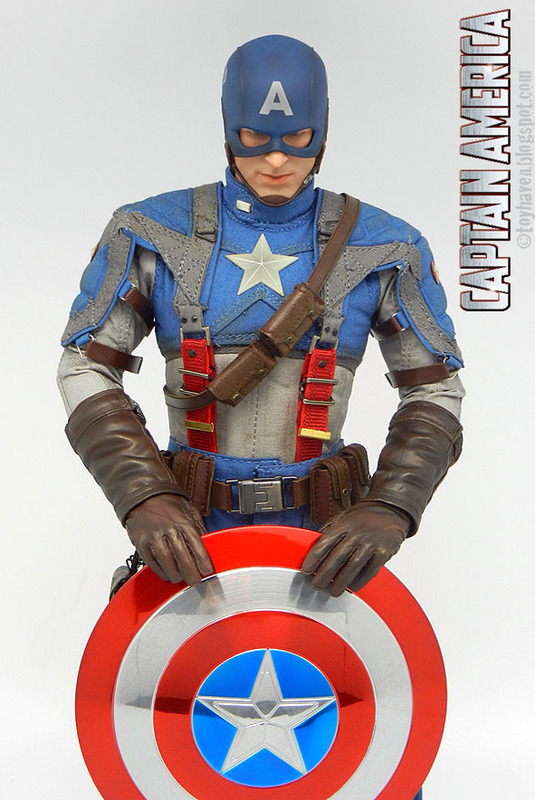 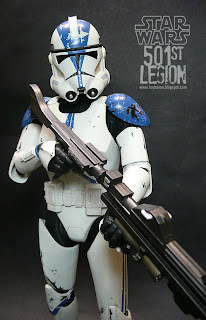 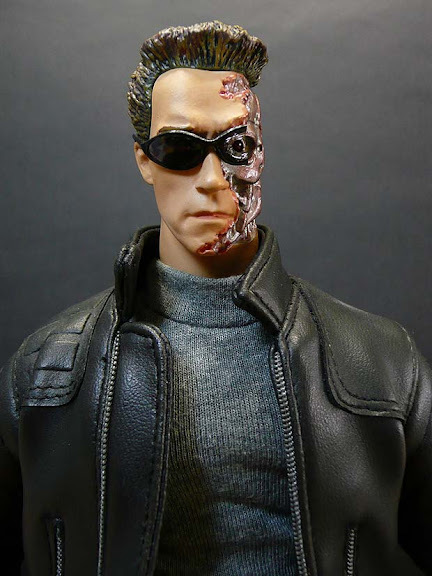 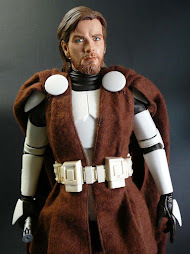 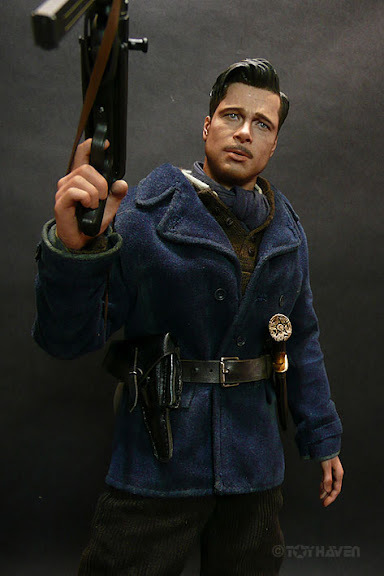 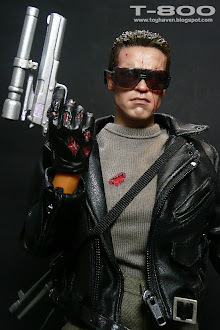 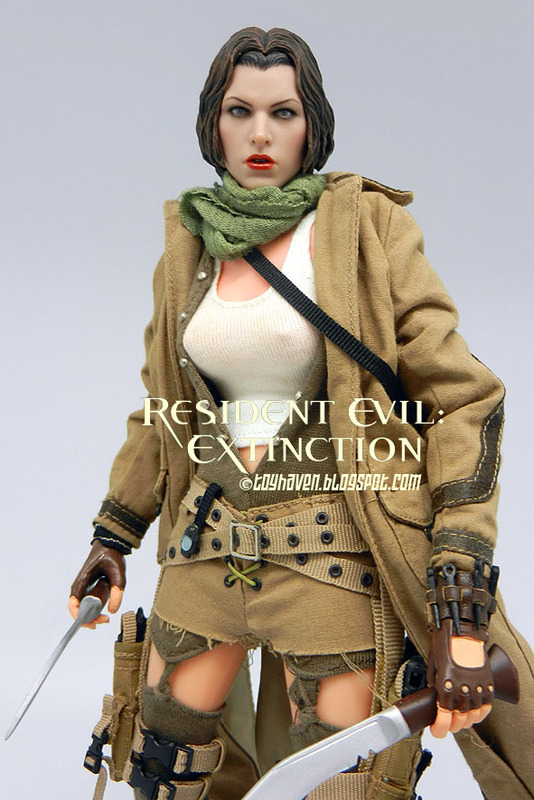 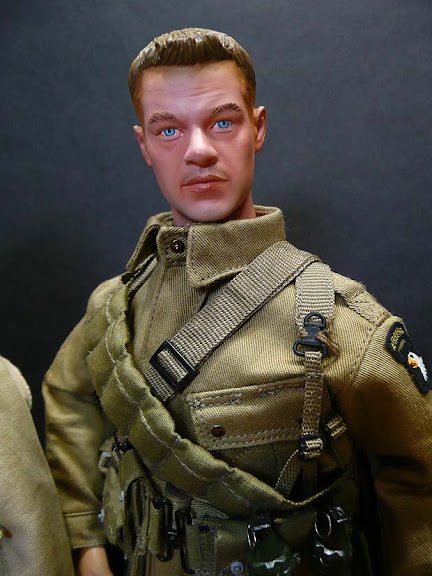 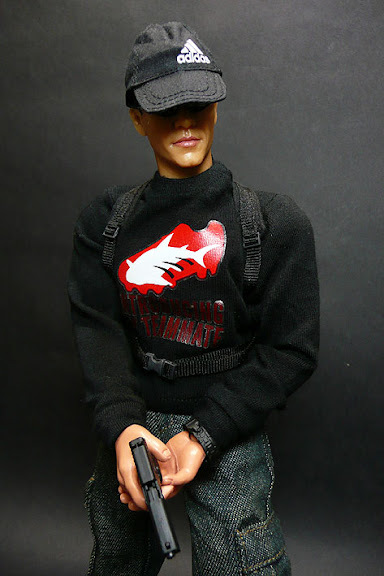 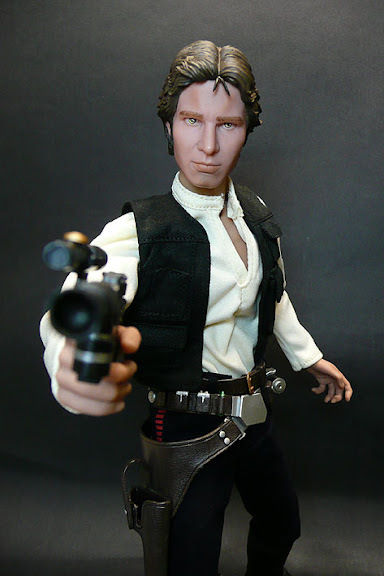 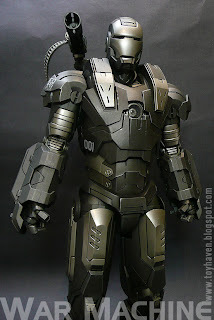 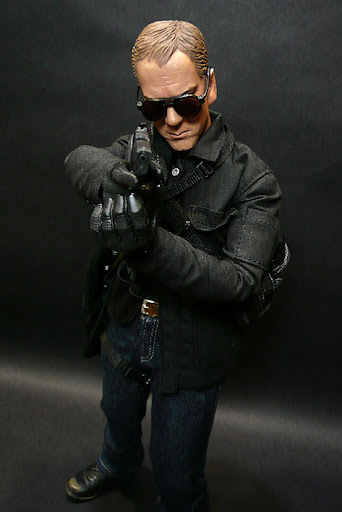 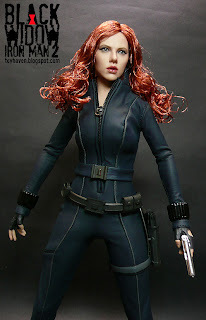 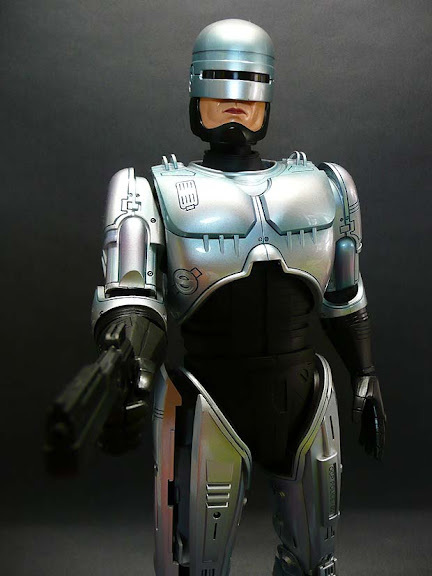 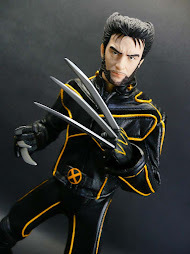 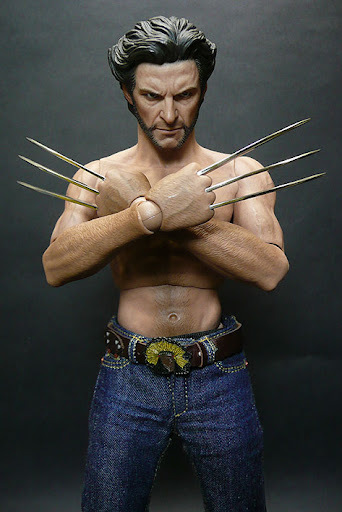 It doesn't matter that this figure does not have a real-like i.e realistic 1/6 scale head sculpt. 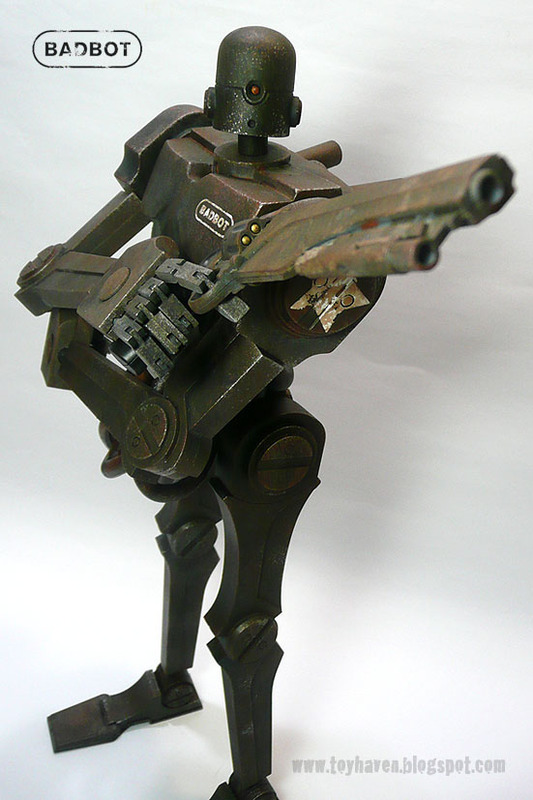 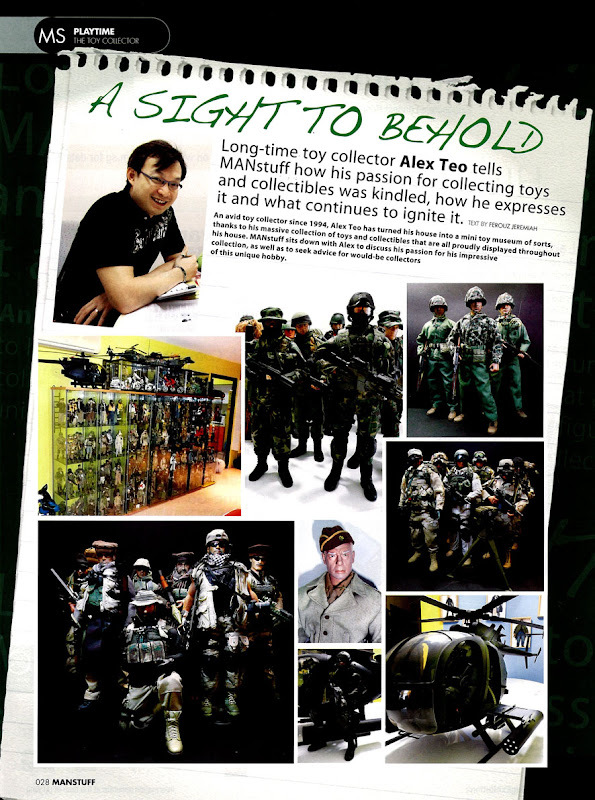 That's part of the charm of Ashley Wood's creation that is World War Robot or WWR. 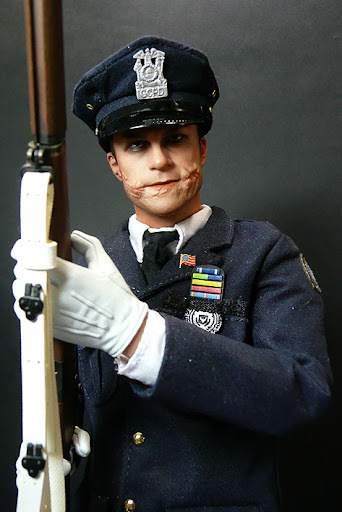 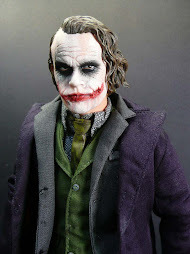 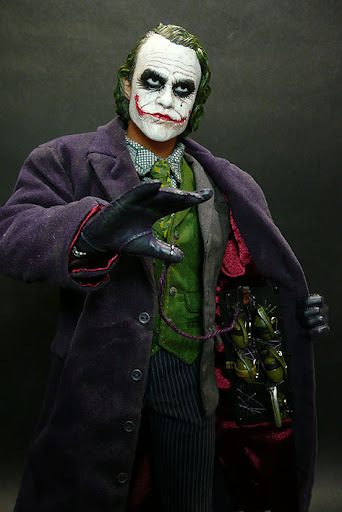 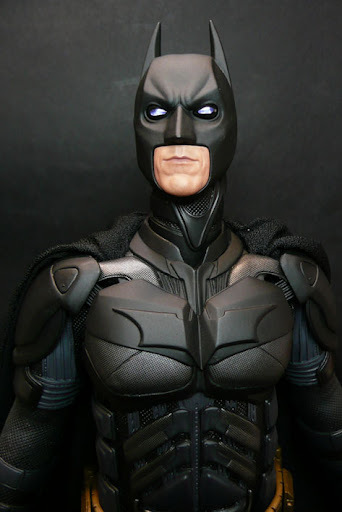 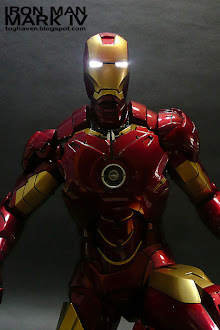 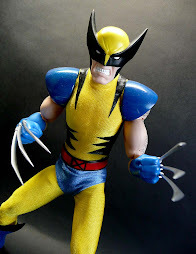 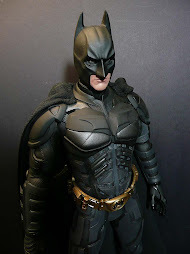 It also doesn't matter that the joints are showing because the face has already conveyed to the audience that this is not meant to be ultra-realistic, just something special, a uniquely different figure. 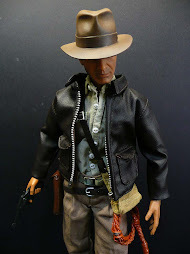 Until next time, hit the road Jack! 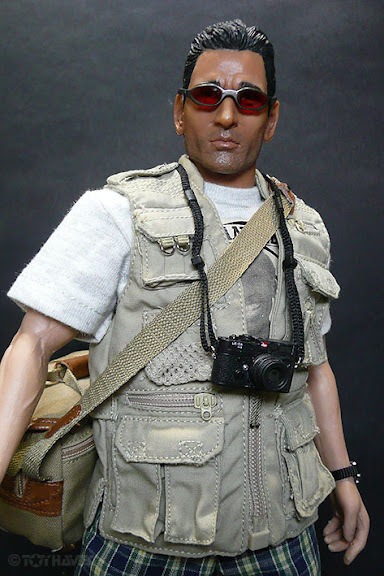 NEXT: The fully assembled 3A BBICN Exclusive World War Robot WWR 1/6 scale Bot Sniper Punter 12-inch Figure in his camouflage ghillie suit and armed with his sniper rifle!